Bishop Michael Curry, who delivered the sermon at the royal wedding of Prince Harry and Meghan Markle, will be in Tallahassee on Monday night Feb. 4, presiding over the 5:30 p.m. Choral Evensong service at St. John’s Episcopal Church. 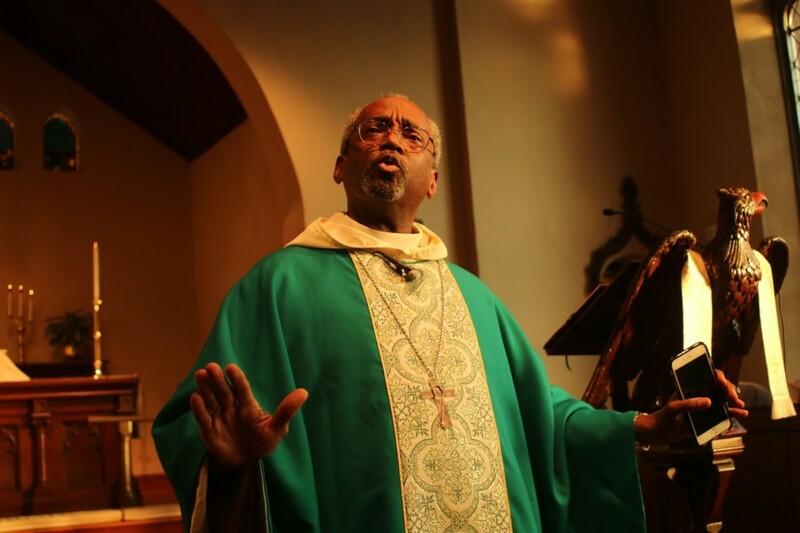 As Presiding Bishop, Bishop Curry must visit every diocese in the country. His visit to St. John’s is one that both the Bishop of Florida, John Howard, and Rev. Dave Killeen, Rector at St. John’s, are excited about. “This is a historic occasion, and it’s a joy and true honor to have Presiding Bishop Curry here,” said Rev. Killeen. The Most Rev. Michael Bruce Curry is Presiding Bishop and Primate of the Episcopal Church. Born in Chicago, his father was also an Episcopalian priest. He learned a great deal about social activism from his father and felt that it was very important to help try and fix a broken world. Throughout his ministry, he has actively spoken about immigration policy, social justice and marriage equality, but Bishop Curry’s No. 1 message is always the same. While in town, Bishop Curry will also visit Holy Comforter School for a service on Tuesday starting at 10:30 a.m. He will then be the guest of honor at a luncheon at St. Michael and All Angels Church. The service can be viewed via livestream by WFSU tonight beginning at 5:30 p.m.